1. 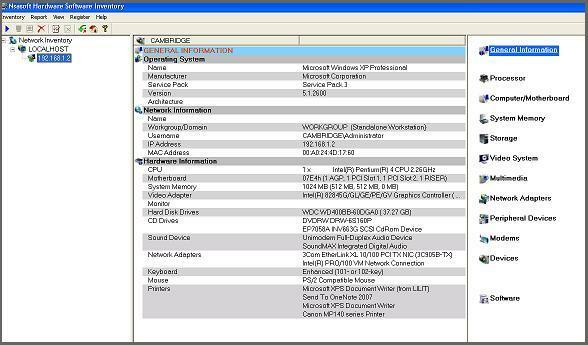 With Nsasoft Hardware Software Inventory 1 user license you can scan all computers in your company without limits. 2. You get extended 24×7 technical support. 3. You’ll get all future versions for free. Your software license is yours to use FOREVER. No monthly, yearly charges, you pay just a one-time purchase price! 4. You can get your license key for free in case if you lost it.